Learn how to make your home Feng Shui friendly for the most important members of the family- your pets! January 12th 2011 - Since correct feng shui encompasses all who reside in a home, the next two articles will be about some of the most important members of a family - the pets. Often forgotten about in books on the subject and sometimes even by professionals analyzing a space, they are family to those who share their lives with them. Because I feel there is so much info to delve into, I am writing it in two parts. Since my Siamese cat Zeus is sitting on my desk as I am writing this and I don’t wish to be attacked, cats rule. We’ll go into cats specifically. Next week’s article will be devoted to dogs. One of the first things I do upon entering a place commissioned for evaluation is to always ask if they have pets. Why? Because your pet will tell me volumes about how you are spiritually, emotionally, and psychologically. Also I can tell if the energy flow is good or not, just by spending a minimal amount of time with them. Sound a little bit fantastic to any but die hard animal lovers? Not really according to recent reports by the scientific community. In more and more research they conduct on pets, be it a cat or dog, they are forced to the conclusion that there is a strong link between one’s pet and one’s self. We’ve all seen the similarities between the physical appearance of a person and the type of cat or dog they’ve picked and laughed over it. You know, the guy with a wrinkled pudgy face with a bulldog or the woman with long flowing hair with the Afghan hound. Besides the somewhat physical similarities, they do take on a lot of our personal idiosyncrasies and sometimes it’s not too complimentary. Any home I’ve gone into where the occupants are nervous, hyper types always have nervous, hyper pets. Calm pets usually reside in calm environments. Pets definitely pick-up on our energies and respond according back. They also are living barometers as to how the chi is flowing in a space. Watch the next time your cat or dog goes to lie down. Unlike a human, they will not just plop themselves down. Instead, they will circle, sniff, and fuss before finding the right spot. This is because they are so sensitive to the flow of energy; they only want to be in a good spot. Now this is where dogs and cats differ greatly. A dog will gravitate towards a spot with positive energy flow; a cat will actually gravitate towards a spot of negative energy. Tests have concluded that cats instinctively go to areas of negative energy and geopathic stress. Furthermore they thrive on the electromagnetic fields generated by TVs, stereos, computers, etc. So while you’ve been lead to believe all these years it was just the heat generated by electrical equipment they loved, it was mainly the negative energy. They seem to flourish on the areas other beings get sick on. Cats have the ability to absorb the negative energies in a space and convert them into positive energies. Maybe this is one of the reasons why they were worshiped in Egypt as deities. The ancient Egyptians would go to the temple, have their negative energies absorbed by the cats, and walk out with cleansed auras. When I was doing research in Egypt many years ago, I was amazed to find cats having the run of some of the best hotels. This probably goes back to ancient knowledge forgotten over the centuries and now practiced for unknown reasons. Stroking a cat lowers a person’s heart rate. Those suffering from high blood pressure have experienced dramatic healing results as well as those suffering high stress levels. They are little healing balls of fur. Please don’t jump to the conclusion that if your cat sleeps on the bed with you that it’s a negative energy zone. They may just want to cuddle with you. However if you move the bed and the cat still wants to be where the bed was before, then it probably is a bad spot. Many years ago a male astrology client of mine confessed he had great difficulty in relating to women. He was quite attractive and had a tremendous job but terrible luck with women. This was all because he did not understand or know how to relate to a female. He was born in an Asian country and his youth was spent on school and then climbing the corporate ladder, leaving hardly any time to date. My advise to him may sound odd to others. It was to get a pet cat. Because cats are the archetypical form of a female, I felt if he could study the cat and learn to live with one, he would understand women better. Within six months he met a nice girl and their relationship led to marriage. Recently I had a client show me a book and the author claimed it was bad feng shui to own a cat or dog. If the person already had one, they were advised to - get this cat lovers - take the cat outside on a harness to do their business. Love to see her try to get one of my three Siamese in a harness and have any skin left on her body! The author obviously knows nothing about cats. Which leads us into a discussion of the ominous litter box. They are not good feng shui. Though if you examine Chinese beliefs on bathrooms for people, they are considered bad feng shui too. Would you go without a toilet in your home for yourself? Doubt it. So why should your cat have to go without one either? There are cures for people’s toilets and there are also cures for cat’s litter boxes. Cats need not risk their lives by going outside to relive themselves so you have better luck. Try if at all possible to not place the litter box in your wealth and relationship guas. Keep the box clean. This will not only make the chi better but also make the cat happier. I’ve been to too many homes where the boxes appear not to have been cleaned in days. That borders on cat cruelty. They are the cleanest animals on earth and abhor filth. The anger energy they must emit having to tolerate this is probably off the charts. Happy pets generate happy energy throughout the home. A good suggestion for litter boxes is to put them in a spot which allows the pet some privacy. In my home I had a hole cut in a closet door, installed a little curtain over the hole, and put the litter box in the closet. Besides giving them privacy, it keeps my dog from going into the box to retrieve what she sees as tasty treats. Disgusting but you know how dogs are! If the cat has a bed, keep it out of the direct mouth of the door. Traditionally this is the death spot and you want the pet to be around for a while. I have encountered a number of clients over the years that keep the ashes of their dead pets in their homes. Once in a workshop my feng shui Master Lin Yun went into great detail about why this was an extremely negative practice a lot of Americans do. If you’re guilty of this infraction, find a suitable place to scatter their ashes. Besides not having their animal spirits inhabiting your place, you will be releasing their souls so they can incarnate again. When I lived in Edison (NJ), I actually had a nutty neighbor who kept dead pets’ ashes under her bed. As a result over the years she had to go on anti-depressant medication, developed agoraphobia, lived in a filthy house and had numerous health and weight problems. However she would still not part with the ashes when I explained to her that her situation was a result of this action. Finally do not become a hoarder. While cats are social beings, too many in one household can inhibit their healthy development and yours too. Due to the startling amount of home foreclosures in the United States, so many cat and dog owners are being forced to give up their pets. If you want to create better energy in your home then maybe this is the time to look into adopting a pet. Can you think of any finer way to practice compassion than saving a life? Judith’s Feng Shui practice specializes in home, office, and business environments. Many multi-million dollar corporations, risk management firms, doctor’s offices, hospitals, restaurants, law firms, and retailers have commissioned her. 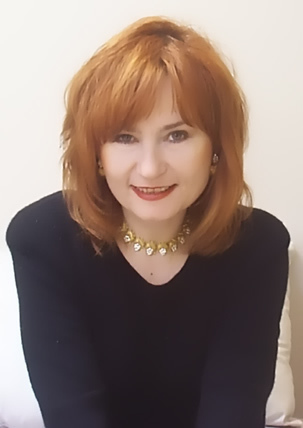 Judith is a charismatic public speaker and seminar leader and lectures in the United States and abroad. Her lecture expertise has been engaged by the top world cruise lines to enlighten and entertain their passengers. She is a popular guest on radio and television stations. She taught at Middlesex College in Edison, NJ courses on Feng Shui and the Tao of Color from 1993 to 2004. Judith wrote an Astrology column for NJ Holistic Magazine from 1993 to 2003. For more info or to schedule an appointment, please go to www.FengShuibyJudithRyan.com or phone 201.858.1689.